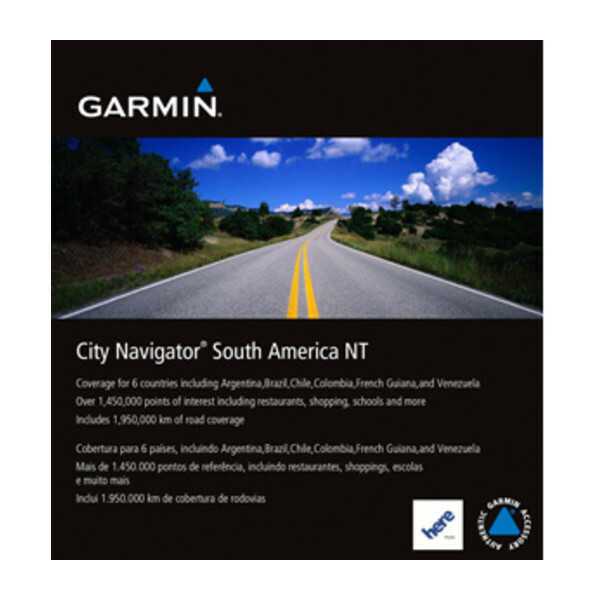 Includes millions of roads throughout 12 South American countries and Florida in the U.S. Displays millions of points of interest, including restaurants, lodging, attractions and shopping. Speaks street names (example: "Turn right on Main Street"). The file size of this download and space required on device or microSD™/SD™ card is 1 GB. If this download does not fit on your device, data may be saved on a microSD/SD card (Recycled microSD cards may be used to program map data). 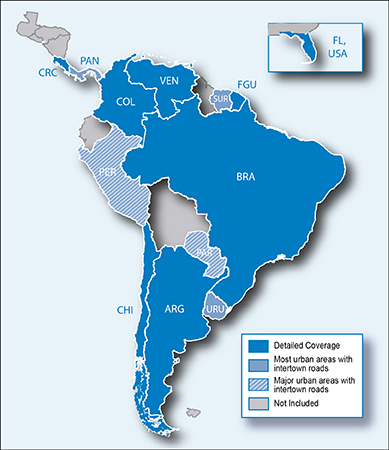 Major Urban Areas with Intertown Roads coverage of Paraguay and the Republic of Peru.